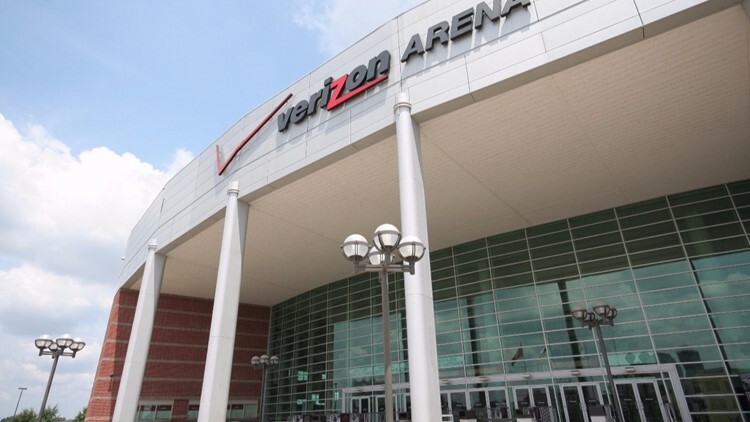 Verizon Arena announced Friday, Nov. 9 that Simmons Bank has acquired the naming rights to the Verizon Arena's 18,000 seat multi-purpose civic center, located in North Little Rock, Arkansas. NORTH LITTLE ROCK, Ark. (KTHV) - Verizon Arena announced Friday, Nov. 9 that Simmons Bank has acquired the naming rights to the Verizon Arena’s 18,000 seat multi-purpose civic center, located in North Little Rock, Arkansas. Verizon Arena will be renamed in 2019. The deal has a term of 15 years for a total value of $10.5 million. “This is an exciting opportunity for Simmons Bank, and we are proud to be associated with an organization that does so much for our economy, while providing some of the best entertainment in the region,” said George Makris, Chairman and CEO of Simmons First National Corporation. “Sponsorships are an increasingly important component of our marketing strategy, and naming rights opportunities have only grown in value. It’s a wonderful channel to engage consumers,” he added.